Item # 299449 Stash Points: 7,999 (?) This is the number of points you get in The Zumiez Stash for purchasing this item. Stash points are redeemable for exclusive rewards only available to Zumiez Stash members. To redeem your points check out the rewards catalog on thestash.zumiez.com. 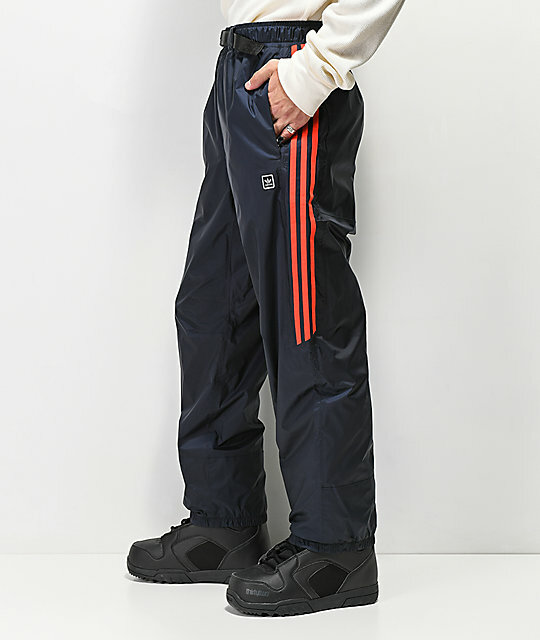 Take your sweat suit style fit to the slopes this season in the adidas Slopetrotter Black & Red 5K Snowboard Pants. 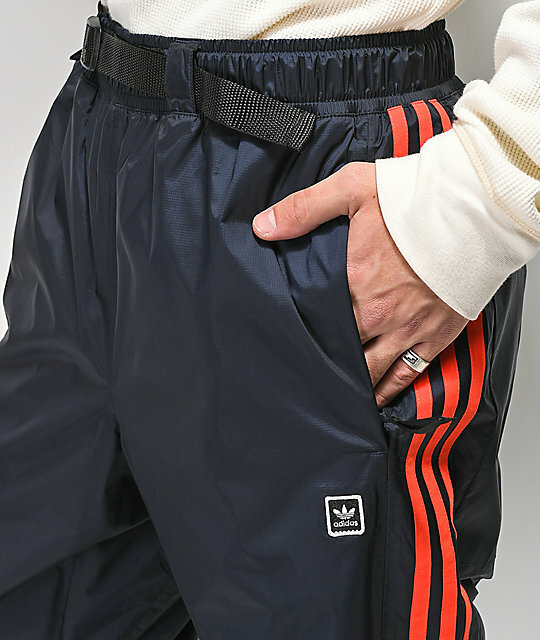 With a fit similar to what you would expect out of a pair of adidas track sweats, these pants provide 5K rated water resistance and breathability for a high performance ride. 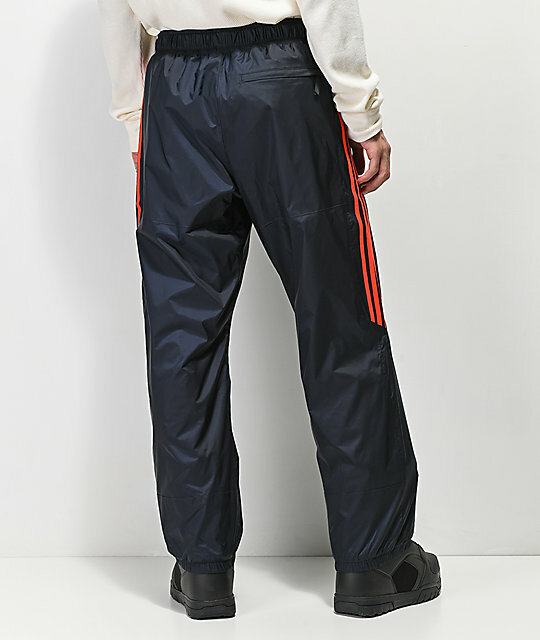 Get your new ideal spring pants with the adidas Slopetrotter Black & Red 5K Snowboard Pants. 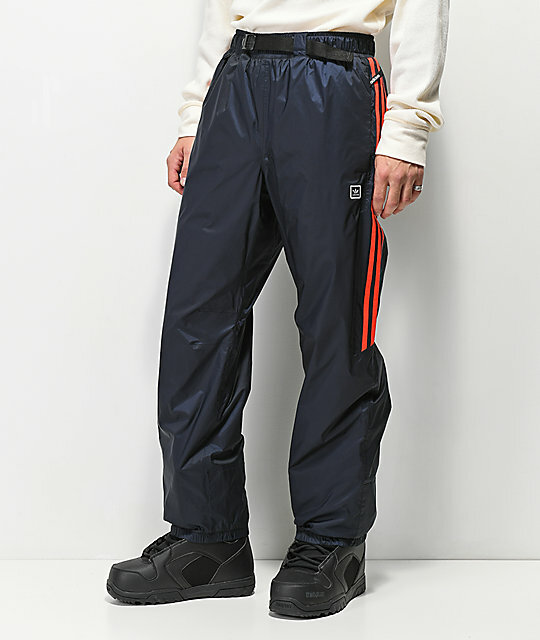 Slopetrotter Black & Red 5K Snowboard Pants from adidas. 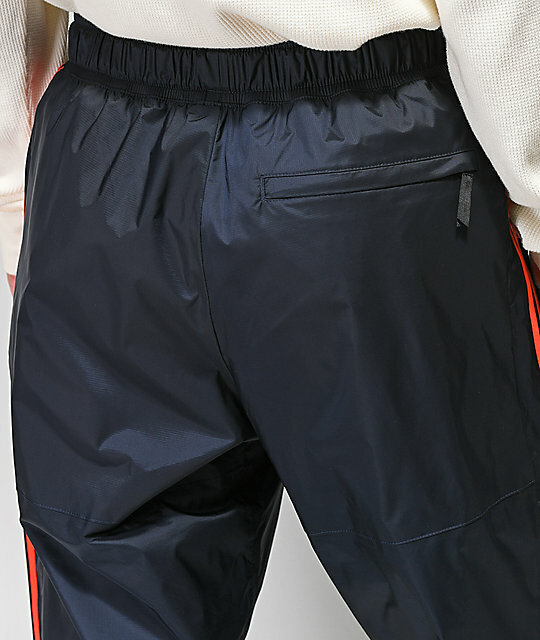 Breathable fully taped polyester weave shell. Waterproof rating 5,0000 mm: Resistant to moisture, best for light to moderate rain or moderate to heavy snowfall in drier colder climates. Breathability 5,000 g/m2: Moderate moisture and temperature management. Slim Fit: A tailored fit which is still stretchy enough for maximum mobility. Fully adjustable internal waistband with belt loops. Custom D-ring for lift pass.